sooo last week i wrote EVERYTHING IS AWESOME the first part. if you haven’t read it then i recommend you read that one before this one! a little recap: alison faulkner of the alison show started a series entitled “how to be awesome” and it definitely helped me and made me feel more motivated to be awesome so i wanted to share it with you!! *give thanks – when we take the time to sit down and think about all the things in our lives we are grateful for we will have all this positive energy around us making us feel awesome! we need to realize all the things we have in our lives that is awesome like family and all he things that make our lives comfortable. alison says that a great way for her to sit and think about all the things she’s grateful for is to write thank you notes to people. *give your gift – it is very important for us to figure out what our purpose or gift is! every single person has one and it is so important to share it with everyone! other people’s gifts help us in daily lives. i know we all go through times where we think “all i do is _____ and who cares? what am i contributing to society?” you can even have the same gift as someone else, but nobody can give your gift like you can. the way you give it to others and share it is uniquely you. figure out you gift, purpose, passion. GIVE IT. “GIVE THE CRAP OUT OF IT” – alison. *give love – this is the last on alison’s list to give and you gotta give a lot of it! one aspect of giving love is giving praise and encouragement to others. when you praise someone for the things they do it makes them happy which in turn makes you happy! another aspect is self-love and respect. this is such a HUGE deal i think. it’s also really, really hard. we tend to be too judgmental towards ourselves like the way we look and things we do. we just need to give ourselves a break and give love…to ourselves! something i talked about in my comparison post was that looking to others for motivation and inspiration is all good in tha’ hood but…if in order to make your next move you have to look at the person/blog before you are ok with what you are doing, you are in the comparison trap. GET OUT! comparing ignores your unique gifts and talents. when you are comparing, you’re comparing your weaknesses against their strengths. and that’s not right. remember…we are supposed to LOVE ourselves! 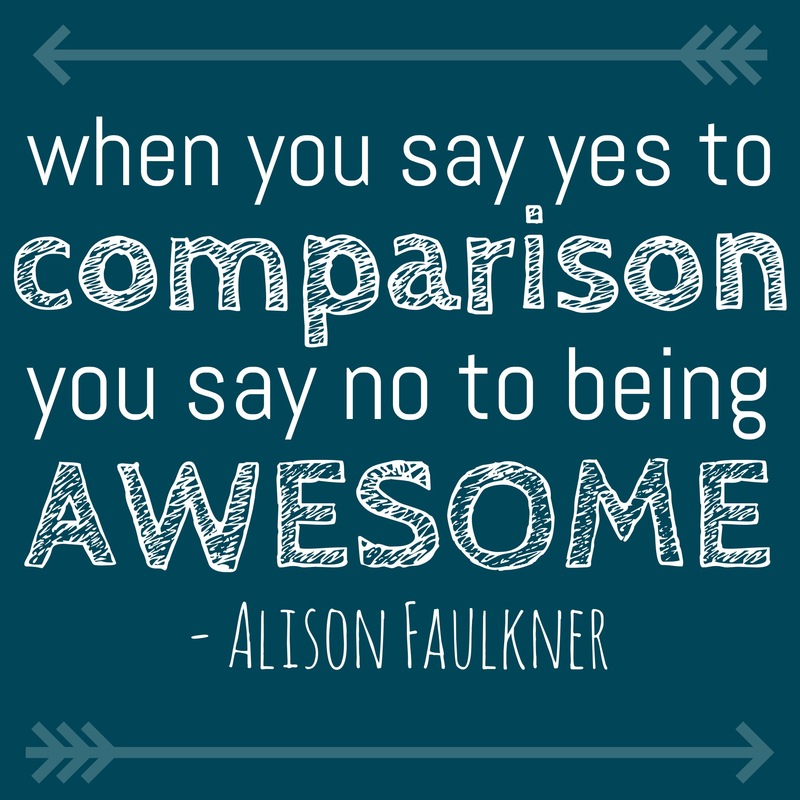 alison wants us to remember that “when you say yes to comparison you’re saying no to being awesome”. choosing to invest in the few people who hurt your feelings and make you feel left out isn’t a good idea at all. invest in the people who want us to! who cares if you don’t get invited to certain things. we get invited to other things! and we can throw our own dang parties. she posted another video on monday!! BONUS JONAS! this seventh part is mostly alison telling personal stories that are really amazing, so i find it really hard to write about this video! please just go watch it! i can’t do it justice!! THANK YOU SO MUCH for reading’ my lil ol blog. if you liked what you read, then please LIKE IT! and SHARE with your loved ones so they can have a little inspiration too. COMMENT below if you have any thoughts! tell me which part you think will help you the most! AND don’t forget to SUBSCRIBE! thank you so much for reading!! i’m glad you enjoyed my post! it means so much! and i’m super glad that someone else was singing it in their head too haha DISNEY FANS UNITE!